I will start with a confession. Before we had Bertie, our cute little Puggle, we had a Border Collie cross called Guinness. He was a lovely dog too and like Bertie used to like his walks. On one nice sunny day we were walking along a path in the Mayfield Valley and I noticed a large number of wasps coming in and out of a cavity in a tree. I am not sure why but I threw a stone into the cavity hitting the nest, guess what happened? Yes, out came the wasps and I made a run for it. The problem was Guinness did not. The wasps caught up with Guinness, I tried swatting them off him with my hands but they, and there were a lot of them, began to crawl into his coat. I did what I could by getting him to a part of the nearby river that was deep enough and pushing him in. Hoping this would kill the wasps. They had already been on him for a couple of minutes and I had no clue as to whether they were stinging him. There were no signs that they were but he did slow down as we walked home. I felt real guilt as my stupid actions had caused my dog possible suffering. The good part is after a nap on the lawn Guinness went about the rest of the day as normal. 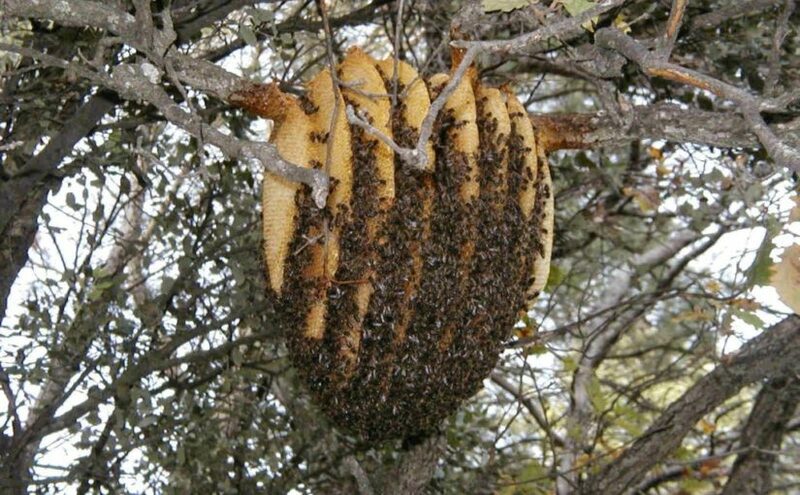 Swarming can also be the result of overcrowding in a successful hive so the hive splits and reproduces itself. This is different, these bees are looking for a new home. Our previous bees and wasps were looking to defend theirs, and for the insect mass attack is the best form of defence. Whatever signal that triggers the attack these insect will sacrifice themselves in the process. Take a look at this video. Frightening stuff. The thing is people behave this way too. I am now going to reprint a book review I wrote for the February 2016 Conflict Manager on ‘The Crowd, A Study of the Popular Mind’ by Gustav Le Bon 1896. I first came across this book in my studies at the University of Warwick in a class called Social and Political Movements taught by Professor Jim Beckford. Jim was a great tutor and a really nice guy to boot, his classes were always looked forward to although his rigorous analysis of ideas may upset some of today’s precious petals. The first class looked at the work of Le Bon and his study of the psychological nature of crowds. I remember liking it at the time but feeling that it was just too much guess work and overtly influenced by the authors experience of a turbulent and frightening, for him, period of French history. That was back in September 1990, much water has passed under the bridge since then, so why come back to it now? Well it all comes back to a conversation I had with Rory Miller early in 2015 about ConCom and the triune brain when I mentioned Le Bon and his theory. Le Bon’s analysis is that once subsumed in a crowd an individual surrenders their individuality and a psychological mind is formed through contagion, emotions spread throughout the crowd and freed from individual responsibility the baser instincts take over. The individual ceases to think about the consequences of their actions as emotions take over and acts of both barbarity and heroism are possible. Le Bon describes the ‘spinal cord’ as being in control and not the intellectually reasoning brain. Ring any bells? Well it rang mine. The thing is in the PC days of the 90’s this became a bit of an Aunt Sally, by the students that is, to be fair Jim used it in its historical context to begin a much wider and deeper exploration of the subject at hand. For the students, fresh out of some of the top schools in the UK, it was to be belittled, corny, out of date, lacking in evidence etc. I was 31, I had been involved in a lot of crowd violence involving a full on riot with flaming barriers, thousands of people mobilised and hand to hand fighting with specially trained units of riot police, plus the occasional football riot, I thought differently. Though written in a voice from a different age and though the criticisms raised were in part valid, it was not enough to write it off as a whole, I thought all along there was something of value here. In his book ‘The Righteous Mind, Jonathan Haidt revives the work of several theorists who were also sacrificed at the stake of political correctness and shows how resulting evidence almost conclusively provides the evidence they lacked which allowed the ‘PC mob to grab their pitchforks and light their torches. I am not claiming that much for Le Bon but he sure saw something the others did not want to see. There is another parallel I want to draw with Haidt’s work that also prompted me to go back to Le Bon, Le Bon was here first and Haidt never heard of him, or if he did he never recognised him. Maybe because Le Bon was lost in some pseudo academic backwater is what I would think, forgotten and unloved. However, I suggest you go get your free copy from Kindle now, read it, read it in the full and tell me that it does not describe how the world is today. As I reread it I saw all the arguments, and candidates, in the forthcoming presidential election in the USA, it frames the rise of Islamic State, I will not prime you too much but this is a really interesting read. There are bits that lack intellectual rigour, it is more polemic than analysis and his biases are obvious, BUT, that is not a reason to ignore it. Go get a copy and I hope you enjoy it as much as I did. So back to July 2016 and 220 years after Le Bon put forward his theory we see mobs rampaging in the USA as the presidential election continues to divide a people, we see racial tensions thrown into this mix too with black and white supremacists making capital from these divisions. Hate is spewing forth and emotions are incredibly high. Why are we surprised when the violence comes? It comes as the mob mentality takes over, here the work of Le Bon seems as good an explanation as any other. Actual attacks on communities, even suspected attacks, in the currently overcharged atmosphere cause people to swarm and to sting their real or perceived enemies. The mob was feared by Le Bon, he was frightened of the mob and its riots, but those riots were underpinned by revolutionary ideas that threatened the existing order. He was frightened by social change and in a time where execution by guillotine was in overdrive who can blame him. I think we now have a phenomena worse than the mob as there appears to be no rationale behind most of these hate groups, be they the KKK, Westborough Baptists or Black Lives Matters, my observation from the much calmer side of the pond, is that they had rhetoric, now they are mostly spewing out hate and some of it is vile. Their existence is based on hate, pure and simple, and this hate spreads through the mob when it forms. Once one member of the mob triggers the others then the hive mentality takes over and the desire to sting infects all. As I watch these groups ‘protest’ their behaviours continue to amaze me, do these people ever see themselves afterwards? In her article in this issue my wife Karen Moxon Smith states “I have seen grown men cry when the CCTV shows them repeatedly kicking someone in the head when they honestly thought they had only acted lawfully”. When individuals lose control, and I have been there, they will commit acts they would be shocked at any other time, appalled even. I have been in mobs that once a victim goes down then the kicking starts and it goes on long after they are unconscious. Football violence is fuelled by many things, the desire of young men to fight, the consumption of alcohol, the intense tribal emotions and an othered enemy who are going to attack us. I have swarmed, I have attacked and I have hurt people and just because the supported a different team. Not politics or religion or race, football. So I understand this from a subjective perspective as well as an objective one, I may be wrong, feel free to disagree, I welcome that but I have been there and done that. To non participants the shock of the hive attacking can be as frightening as for those actually attacked, especially when live are being taken now. Once you upset the hive and the bees come out it is almost impossible to get them back in. We are, post event, and from the comfort of our armchairs, unable to comprehend this behaviour when we see it and one coping mechanism is to other those involved. They are not human, they cannot be, and from there it is one small step to dehumanising them, whoever they are. We, whoever we are, need to stop these people, we can only do so by banding together against them. Can anyone hear a small buzzing sound or is it just me? The thing I have not discussed and that really bothers me is that hive are really easily triggered. Social media today allows not just one hive to be triggered but multiple hives in multiple locations. Chaos can erupt real quick now and infection can be global in seconds. The massive threat is hate groups manipulating social media to trigger their own hives and this triggering the hives of opposing hate groups. They feed of one another. They feed of truths as much as they feed off lies and often nobody knows what is truth or lie. The social infection can go viral incredibly quickly and there are many who, as Haidt shows very clearly, act instantaneously on emotion and then proceed to rationalise the emotion. As they say the first victim when war breaks out is the truth, for me the first victim when emotion breaks out is rationality. Welcome to our brave new world. Or not. Over herein the UK the electorate defied all the major political parties, all the major institutions, interfering foreign leaders and all the celeberities they wheeled out to tell us our future was better in the European Union, and we won. Brexit should become a reality in the next few years, those who supported Brexit were attacked mercilessly as biggots, little Englanders, ignorant, stupid and racist. The hive mentality was triggered and the stinging went on for weeks led by a fearful political class and the comfortable middle classes. I mentioned hate groups from minorities earlier, well the biggest hate group is those who have the most invested in the system, the socio-economically comfortable and the people who do their bidding, they will drop their veneer of rationality and reasonableness when threatened and they will swarm. The hive mentality has a wider reach than we thought. Jonathan Haidt, ‘The Righteous Mind: Why Good People are Divided by Religion and Politics’, 2013. Gustav Le Bon, The Crowd, A Study of the Popular Mind’, 1896. Yuval Noah Harari, ‘Species, A Brief History of Humankind, 2015.